The study and clinical training for music therapy at the Frost School of Music is truly an exciting, challenging, and satisfying pursuit! Frost Music Therapy students are provided with a comprehensive scientific, evidence-based curriculum; clinical training and research in numerous hospitals and clinics, including in the world-famous Miller School of Medicine; and exceptional music training with the diverse and creative faculty of the Frost School of Music. Research activity is critical to the advancement of the music therapy profession as it enhances the understanding of music as a unique human behavior, and provides best practice guidelines for clinicians. 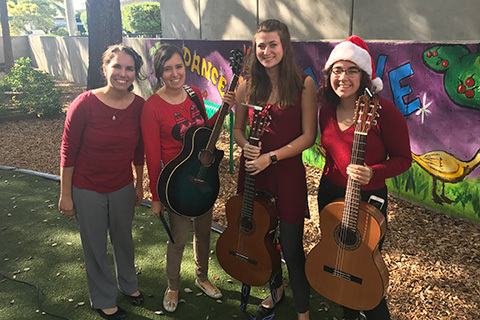 Frost School music therapy students at the undergraduate and graduate levels are trained to read, understand, and critically analyze research, and graduate music therapy students develop independent research skills. In addition to mentoring student research activity, music therapy faculty are leading scholars and authors in the profession. Music therapy uses research related to the brain and the body to create evidence-based, musical therapies for individuals. These therapies can be administered regardless of the client’s previous musical training or abilities. 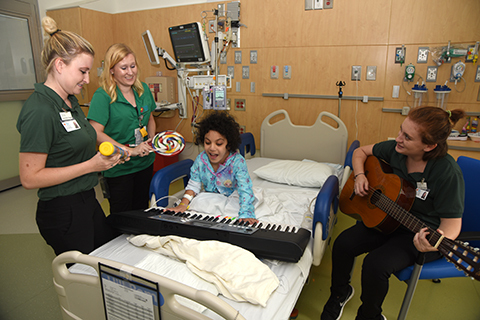 Using a range of instruments, evidence-based methods, and empathetic approaches, music therapists help clients reach physical, social, emotional, and cognitive goals. Before working as a practicing music therapist, you will need a few credentials. 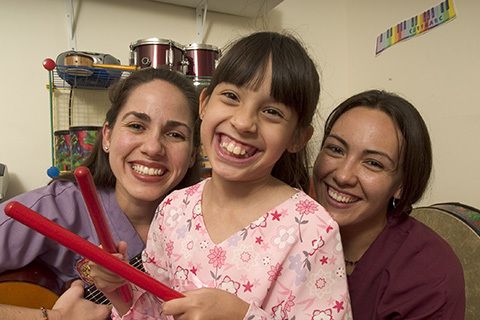 Pursuing a degree in music therapy is the right place to begin to build your supervised clinical experience, theoretical background, and hands-on practice in music therapy techniques. Before you begin applying, it’s good to get familiar with the elements of music therapy programs. What is a Music Therapy Degree? 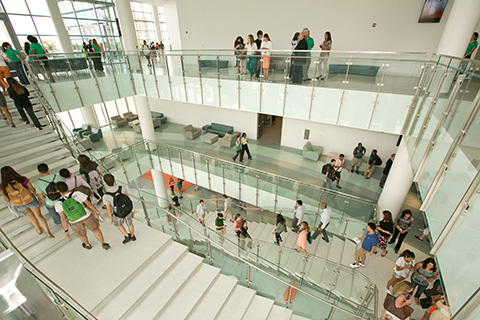 A music therapy degree gives you experience in several areas including cognitive science, musical technique, and research. This combination of classes creates a special skill set that enables you to work effectively with diverse populations including elderly people, young children, teens, people with chronic pain, people with various kinds of disabilities, people who have trouble expressing themselves in words, trauma survivors, people who are incarcerated, and other. Of course, many people inhabit more than one of these identities, and each person has complex needs, so a good music therapist has a rich toolbelt of skills. Because you will be working in specialized contexts, achieving a degree is important so that you have the aptitudes you need to facilitate therapeutic techniques. How Do I Get a Degree in Music Therapy? Music Therapy is offered on both the bachelor’s and master’s degree levels. The bachelor’s degree is typically a four-year program that includes both classroom and clinical experience. The master’s degree involves a more intense course of study with research components and further clinicals. Drawing from fields like psychology, performance, and music education - music therapy is an interdisciplinary degree. It’s important that your school of music choice recognizes the importance of interdisciplinarity. At The Frost School, there are no disciplinary barriers so you can tailor your degree to suit your personal interests in the music business. What are the Degree Requirements for Music Therapy? 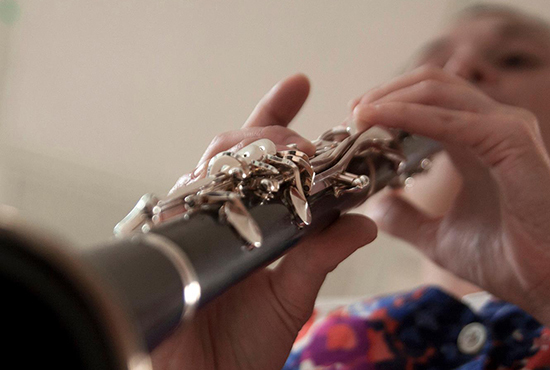 As a music therapist, you could potentially be using instruments with clients. Depending on the client’s needs, you may be playing the instrument for a client, making music with a client, or encouraging a client to play the instrument themselves. It’s important that you have technical ability. Music theory and technique also helps you understand music itself, which in turn helps you understand music therapy’s benefits. In music therapy foundations classes, you will learn about the pedagogy and philosophy of music therapy, the history of the field, and the empirical research that backs it up. You will also read case studies and research and learn about the brain. 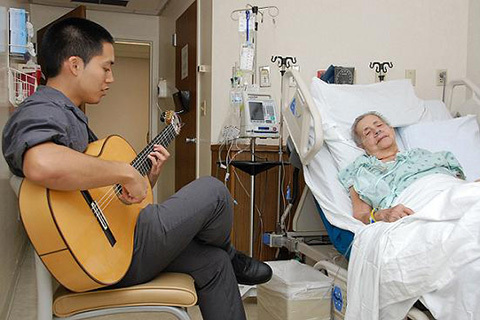 Your understanding of what makes music therapy work is essential to your success in the field. 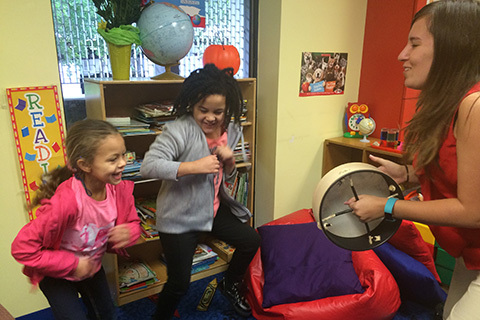 What Does Clinical Training Involve in Music Therapy? Clinical training is hands-on experience, which is always essential for learning. Many schools partner with institutes within the school or other community organizations for clinical placements. 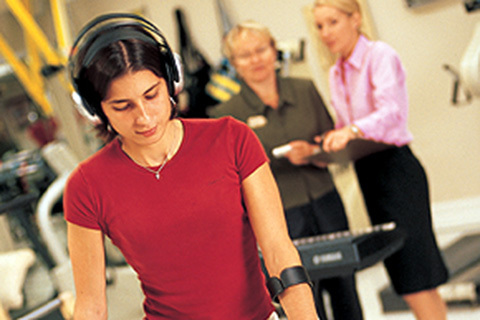 Under the supervision of certified music therapists, students use therapeutic techniques with the population at the site. A collection of techniques means little if you can not apply them in the field. These elements compliment each other to make graduates well-versed in the different aspects of the profession.